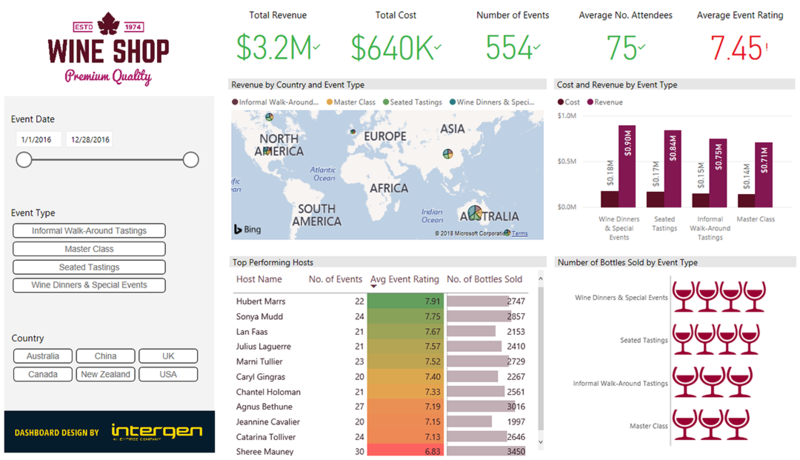 The Wine Shipments & Sales Analysis Solution enables executives and senior management of a wine distribution company to get insights on their shipment and wine tasting event performance, so they can make faster and more accurate decisions to improve their business processes and future sales. 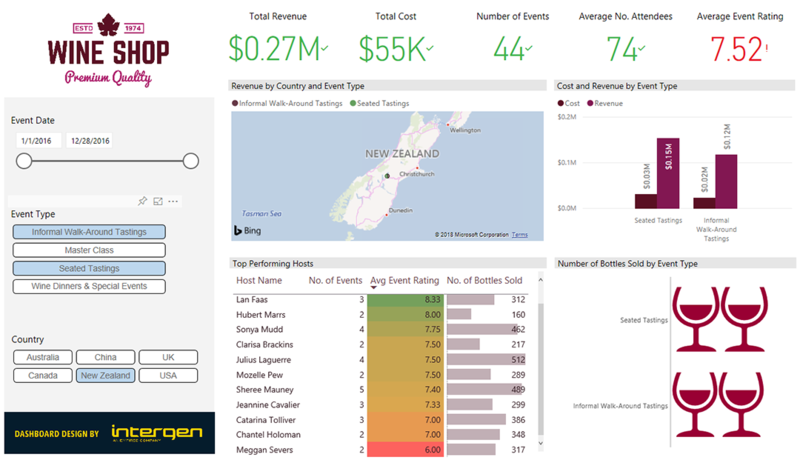 These dashboards enable Executives and senior management of a wine distribution company to get insights on their shipment and wine tasting event performance, so they can make faster and more accurate decisions to improve their business processes and future sales. Accessing and analysing shipment information real-time can be difficult. 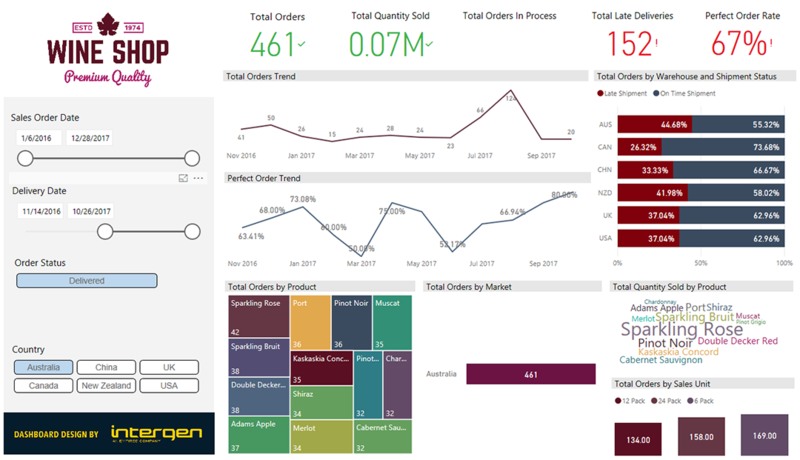 Additionally, it is challenging to combine multiple data sources such as Excel spreadsheets and other enterprise software to provide a 360-degree view of the business and a single source of truth. These challenges led a wine distribution company to assess their performance using inconsistent data. 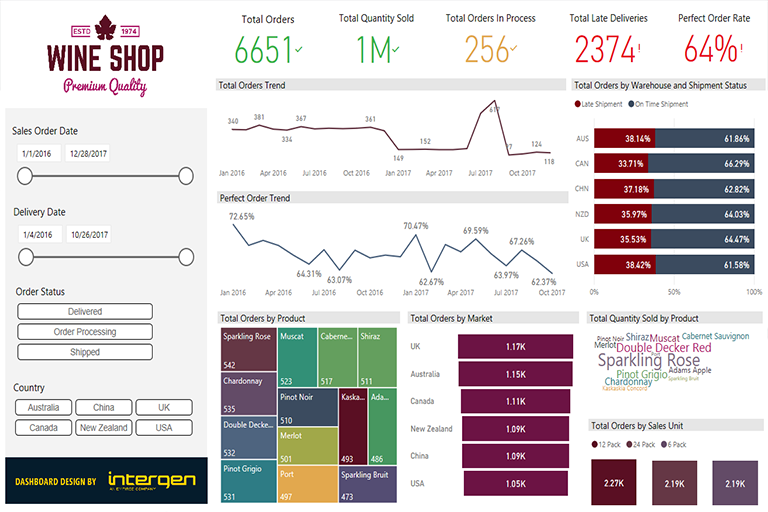 Intergen’s Wine Shipments and Sales Analysis dashboards provide a clear and concise view of the data needed for executives and senior management. 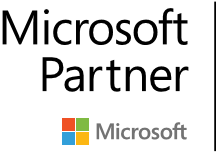 With just a few clicks they have clear visibility of their organisation.